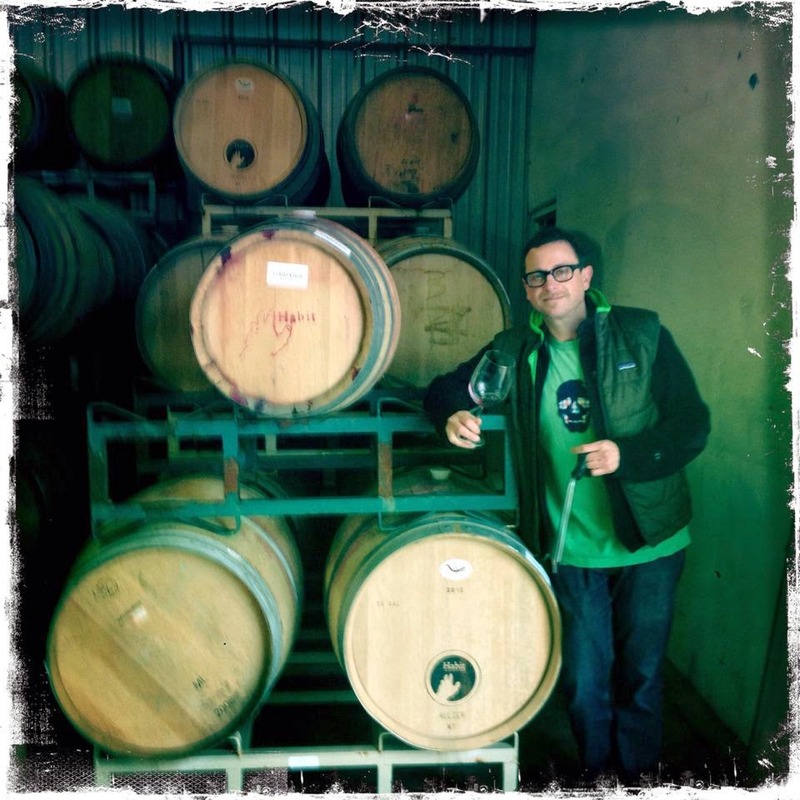 Jeff Fischer is a winemaker. Jeff Fischer is an actor. Jeff Fischer is a character on American Dad! All three of these Fischers are the same man. Fischer, pretty much all the manpower of Habit Wines, recently agreed to an email interview--as he could work that in while he was on set. About his two day jobs he admitted, "It's pretty insane. I honestly don't sleep much, my brain is either thinking about auditions, worried about getting a job, or the winery, grapes, bottling etc. all the time. I try to never miss an acting job due to wine as that pays the bills and allows me to continue to make wine, but as I've grown in size from 50 cases in 2008 making just two wines, to over 2000 cases in 2013 making seven different wines, the wine business has gotten pretty serious. So basically my day is divided between the two. Luckily with technology, I can be on the road and audition, as well as ship wine and keep up with the business from L.A. or the winery." Want ot read the rest then do so at the KCET Food Blog. Pinot Noir: Is Bigger Better?